Family adventure travel sailing the Turquoise Coast, with Turkey's jagged azure blue southwest coastline was a family-friendly adventure that was like no other and surpassed all our expectations. Our gullet, a traditional wooden Turkish yacht, was the most beautiful on the high seas with its mahogany wood grain hull and blue masts. We had chartered the six-cabin yacht for our extended family adventure travel vacation. For 10 days, this was to be our home - a luxurious, relaxing and adventurous way to see Turkey where there was plenty to do, both on-board and off. Our yacht docked at small marinas, sheltered lagoons and hidden coves. We hiked the countryside and enjoyed the turquoise sea from secluded anchorage by swimming, kayaking, wind surfing and fishing. The mix of hikes, ancient ruins, legendary swims and water activities, and time to relax lazily on deck created an intimate family-friendly pace for adults, seniors and children alike. Discovering the regions coastal villages, some accessible only by boat, hiking in the pine forests and exploring Hellenic ruins, we gained an expansive vision of the land. 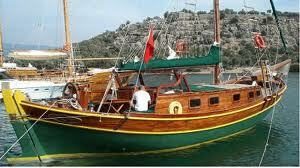 En route, at Olu Deniz, the stunning Blue Lagoon, a sheathe of calm blue waters captivated us. Off the beaten path, we hiked to ancient Lydae, with its tombs, Corinthian columns and basilica from Roman and Byzantine periods. We stopped at Dalyan, a sleepy fishing village whose beach is a breeding ground for Loggerhead Turtles, and took a side trip, kayaking on the Calbis River, where spectacular scenery and rock-cave tombs greeted us. At the secluded Orhaniye Bay, an ancient acropolis and the ruins of a medieval castle set the backdrop to the small eponymous village. Bencik Bay, a miniature fjord-like inlet, provided breathtaking vistas of Limestone Mountains dropping precipitously into the sea. Elsewhere pine forests stretched out hiding a wealth of golden beaches, deep gulfs and tiny offshore islands. 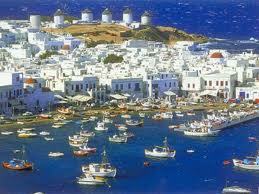 Further on, we visited at the ancient city of Knidos, a sensational site of maritime trade. We moored at the city's ancient harbor just as Hellenic merchants would have done over two millennia ago, only to gaze in wonder at its monuments - rows of houses, a small theater and miles upon miles of fortifications. We looped through Gorkova Bay and visited the English Harbor, where Britain hid submarines during World War II, then Cleopatra's Island and the quiet seaside village of Oren, with its appealing market. On occasion, we slept outside on the gullet’s cushioned deck, dozing to the panorama of stars in the jet-black sky. Waking to the soft swish of gentle waves hitting the bow, we enjoyed a sumptuous breakfast of freshly prepared Turkish delights before greeting another wonder-filled day. Off the magical coast of Turkey, we drank in the landscape to rediscover that every day is a journey of discovery. 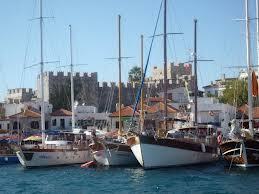 Having sailed the exquisite waters of the Turquoise coast, our family adventure travel had only begun. I'm a trip consultant, planner and manager who loves creating unique intercultural adventures for families. I want to impart information, tips and personal experiences especially related to family adventure travel.